Our hearts here at AlphaCard go out to our customers, family, and friends who have been impacted by the devastation of Hurricane Harvey and Hurricane Irma. To help the thousands of people now seeking disaster relief, we will be donating part of our proceeds during the month of September to the American Red Cross, including their Hurricane Harvey Relief Fund and Hurricane Irma Relief Fund. During the month of September (9/1/2017 through 9/30/2017), use code HELPOUT on all orders to get 5% off. 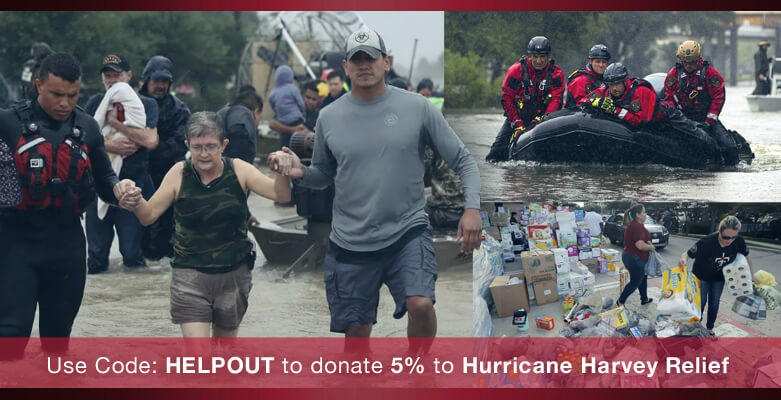 AlphaCard will then donate 5% to the American Red Cross. This coupon code cannot be combined with other order-level discounts. Offer valid for phone and online orders. If you know of a disaster relief organization in need of an ID card system or supplies for their volunteer ID program, please contact us about a donation through our AlphaCard Cares program. In the past, AlphaCard has partnered with organizations including Medical Reserves Corps, Mercy Corps, Hope Force International, and Cross International to help them print volunteer IDs and we are always looking for new partners through AlphaCard Cares.